The concert will be held Sunday the 18th of December 2016 at 7:30 PM. 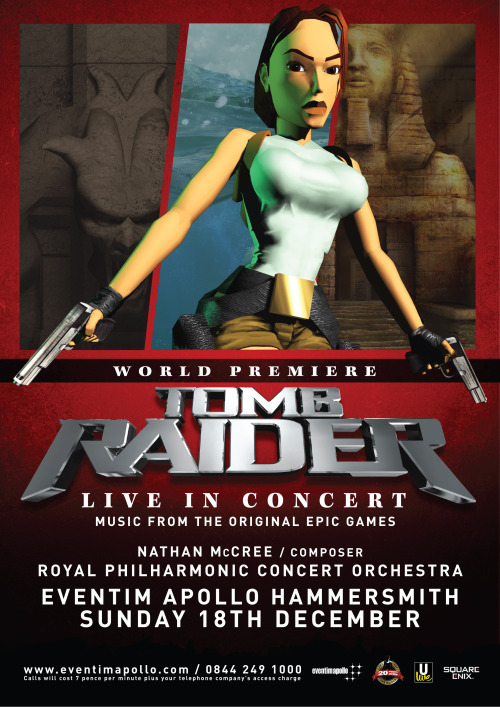 Tickets for Tomb Raider – Live in Concert can be purchased from 9AM BST on Wednesday 20th July - 48 hours before general release - using this exclusive link. Tickets will go on general sale at Eventim Apollo at 9AM BST on July 22nd. Full PR via the official Tomb Raider blog.